Save water: No need to rinse recycling! 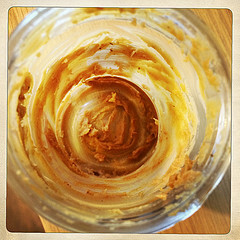 Have you ever thought about all the water you use trying to clean that empty peanut butter jar? All of this is to say that if you live in Salt Lake City, it is not necessary to rinse your recycling! As long as a container is basically empty and can be tipped without its contents pouring out, it can be recycled. Recyclables go through a cleaning process at the recycling plant, so save the water and energy at home. Rinse no more!